Lava is the most famous hazard of volcanoes. It is featured in movies. It used to describe lamps. It is also used to describe chocolate cakes and mobile phone cases. But lava is only part of the volcano story. Lava is what we call magma when it flows out of a volcano. Magma is molten - or melted - rock. You would not want to stand in lava. It can be as hot as 2,000 Fahrenheit. At a walking pace you could outrun the majority of lava flows. So, what’s so hazardous about a volcanic eruption? Sometimes magma does not flow out of a volcano. Instead, it explodes. It is an exploding mixture of hot gas, magma, and rock. When it comes out, it is fast and unpredictable. In an explosive eruption, pieces of hardening magma and rock are spewed upward. They form a hot plume of gas. They range from the tiny particles that make up volcanic ash to chunks the size of cars. As the plume blows downwind, it drops materials like a hail storm. It litters the landscape with volcanic rocks. A pyroclastic flow of hot gases carrying the heavier material may pick up speed as it sweeps down from the volcano. As the flow mixes with the surrounding air, lighter ash may get lofted up in a cloud. It can travel as far as thousands of miles. 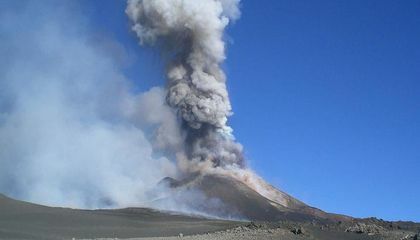 The bigger chunks are an immediate hazard to people and wildlife around the volcano. But the cloud of ash takes a long-term toll that can be devastating. In 1980 Mount St. Helens in Washington state erupted. It produced a pyroclastic flow that scoured the landscape at speeds up to 600 miles per hour. It lofted ash that settled on 11 states over the next few days. In 2010 Iceland’s Eyjafjallajökull volcano erupted, sparking electrical storms. It had an ash plume more than 5 miles high. It spread over Europe and grounded airline travel for days. Geologists who study volcanoes and called volcanologists. They are trying to better understand the behavior of these pyroclastic currents. It is dangerous to capture data directly from an explosive eruption. So volcanologists such as Smithsonian’s Dr. Ben Andrews have found ways to capture data from a distance and simulate flows in laboratories. Ben’s Eruption Simulator uses laser beams and talcum powder. He can observe how erupted materials get distributed upward and outward in different scenarios. 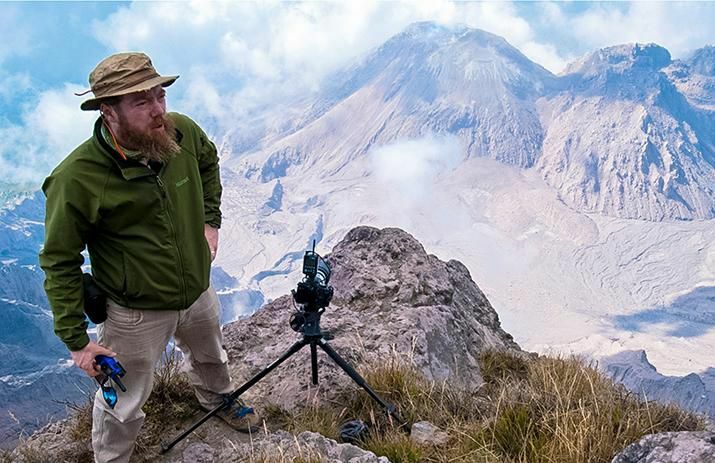 Learn more about Ben’s volcano research in the "Smithsonian Science How" webcast on Thursday, Dec. 14, 2017. Watch How Volcanic Eruptions Send Materials Up and Out. It airs at 11 a.m. and 2 p.m. EST on the Q?rius website. Ben will take you on an explosive journey while answering your questions live. You can also get teaching resources to use with the webcast. Lave dat iz undeera granud. magma is molten or melted rock. This article was very interesting. This article is mainly about magma which is another way of saying lava. It says how magma (lava) can be hot up to 2000 Fahrenheit. How they have studying it and getting more information. Magma is a mixture of molten or semi-molten rock, volatiles and solids that is found beneath the surface of the Earth, and is expected to exist on other terrestrial planets and some natural satellite. Magma is a substance that is basically lava underground and it comes out of volcanos. Magma is a hot fluid below the Earth's crust.